A correct YubiKey must be present in a USB port at boot time in order to unlock the root partition, no password needed (1FA). The core component we are using, YubiKey Full Disk Encryption, is basically some bash scripts that concatenate the challenge (hashed password) and the response as the encryption key of our root partition. A YubiKey with HMAC-SHA1 challenge response support. Ideally two of them for backup. Install and launch YubiKey Personalization Tools, click Challenge-Response -> HMAC-SHA1, insert your YubiKey, select an available slot, generate a secret key and write the configuration to your YubiKey. You can check "Program Multiple YubiKeys" and select "Same Secret for all Keys" to make a backup with another YubiKey. You can also check "Require user input (button press)" for additional cumber security. 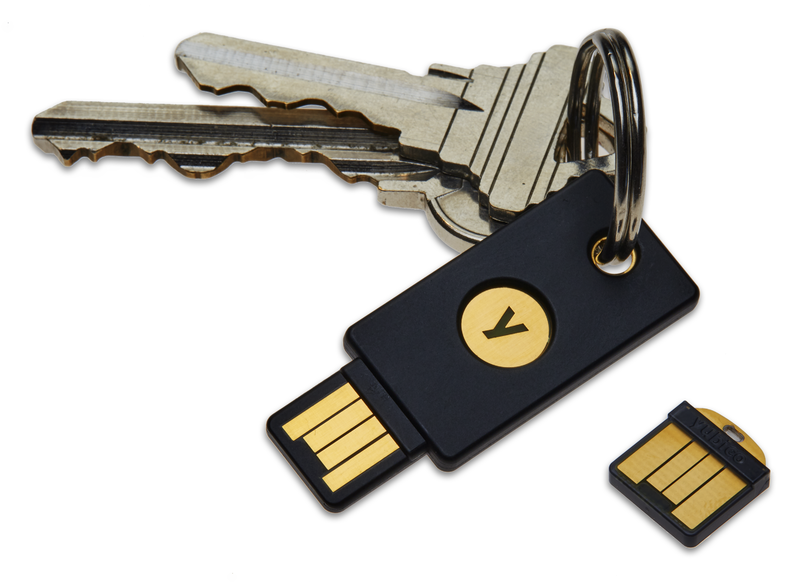 YubiKey Personalization Tools. You can use the same slot to secure your KeePassXC password database. /dev/sda1: Boot partition with a size of 512MB by setting the last sector to +512M, the partition type must be EFI System. Use t to change partition type, select partition 1, then select partition type 1. Type w to write the changes to the disk and quit. # Set to non-empty value to use 'Automatic mode with stored challenge (1FA)'. # Use 'Manual mode with secret challenge (2FA)'. # YubiKey slot configured for 'HMAC-SHA1 Challenge-Response' mode. # Possible values are "1" or "2". Defaults to "2". # UUID of device to unlock with 'cryptsetup'. # Leave empty to use 'cryptdevice' boot parameter. # LUKS encrypted volume name after unlocking. Now the decrypted partition is at /dev/mapper/root. Check other pre-installation steps you might want to do at ArchWiki. Set time zone, localization and hostname according to ArchWiki. Set a root password for later login. It is advised to prevent any remote login as root after post-installation steps. Ensure that you are booting from the target hard disk, not your Live-CD USB stick. You should be able to unlock the root partition with YubiKey at the initramfs stage of the boot process. After login, conduct necessary post-installation steps described in ArchWiki. Since we didn't use a swap partition due to security consideration, you can use a swap file.